Above are highlights for the game, an 80-19 win by Arroyo Valley girls basketball over Indian Springs in a San Andreas League opener. There are some things you’ll notice in the video. While the game was at Indian Springs and there was a decent home crowd, I heard no boos pregame or during the game. No reaction of any kind really toward Arroyo Valley from Indian Springs fans. In fact, the small group of Arroyo Valley fans (I’m guessing mostly parents), were vocal in showing their support for their team. I saw no indication that people there were aware that in Arroyo Valley’s last game, on Jan. 5 vs. Bloomington, the Hawks won by a 161-2 score. I’m sure Arroyo Valley and Bloomington would both like to move beyond the 161-2 game. Wednesday’s game was an important step in that direction. Indian Springs, the newest school in San Bernardino, was rejected for early admission into the San Andreas League on Wednesday. The school which has only freshmen and sophomores this year and won’t have play a varsity sport until the fall of 2013, was asking the San Andreas League for admission next fall, a year before the new league alignment goes into effect in the fall of 2014. In a meeting of San Andreas League principals and athletic directors, the league voted 6-0 to deny Indian Springs admission for next fall. 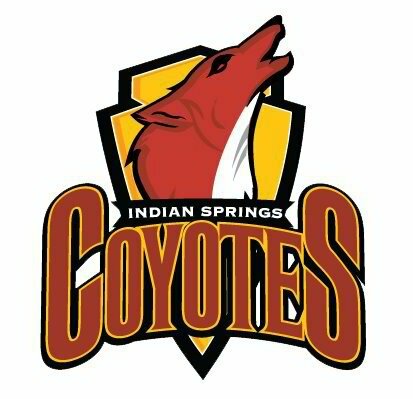 As a result, unless Indian Springs can find another league to accept them, the school will have to play a freelance schedule for the 2013-14 school year. Pacific Athletic Director Carmel Brand said there were several reasons why the league denied Indian Springs entry into the league.